I am currently reading Dr. Michael Newton’s book “The Destiny of Souls” (2000) and find it highly interesting. I’ve mentioned before that I’m on the fence about the topics of life after death or a spiritual level existing parallel behind/with the material realm (due to the current lack of scientific back up), but it doesn’t mean I can’t explore this area and it couldn’t make sense to me. Dr. Newton is a hypnotherapist, who started his career as a “normal” counselor. He accidentally bumped in to past life regression in the 1960’s by guiding a client into a life before this current life during a hypnosis session that was supposed to track the root cause of an issue the client was suffering from. The root cause was discovered, but not from the client’s childhood, from a past life. Because the ability or tendency to “travel back to a previous life/lives” and also "life between lives" seems to be something many (if not all) people can do under hypnosis and the stories relayed are structured, meaningful and consistent (instead of meaningless or imaginative blabbering), Dr. Newton has spent decades in unlocking the mysteries of the soul. To his clients and himself, we are not mere mortal, bio-electro-chemical flesh computers, but spirits (or unknown intellectual life forms) being born time after time into the material world temporarily, before returning back to the timeless mental dimension or the “spirit world”. According to Dr. Newton’s clients, the material world, including Earth, are an “exercise ground” to the mental beings who incarnate to learn lessons, practice mental capabilities, enjoy and suffer existence in the material realm and ingrain experiences and emotions into the spirit/soul to grow and evolve. In essence, it has a lot to do with “willpower’s or mind’s triumph over matter”, which is the essence of growth for this soul being (i.e. the real us). It’s not so much about limiting oneself, but more about overcoming instinctive responses such as fear, anger, lust, greed or resent to live life to the fullest and push oneself to become something more and better than we were before: it’s all about integrity, intention and follow-through. Dr. Newton has studied thousands of cases and does so in a diligent manner of someone who maps an uncharted territory with care, open mind and gathering samples (interviews under hypnosis) that seem to all support this theory. As an interesting parallel, another Newton is famous for his scientific discoveries, but he was also shunned by the scientific circles due to his interest in occult: Isaac Newton (1642-1726) discovered gravity and developed the quantitative research method to gather evidence and observe it to deduce the facts, but his ties with the scientific community were cut due to his interest in alchemy. According to Dr. Michael Newton, the most common question people ask when booking a regression hypnosis session is to discover their true purpose in life. I can’t possibly verify whether Dr. Newton is correct with his model about the real purpose of human life (to teach the soul to grow), but due to my own PhD studies in the area of quality of life I am certain about one thing: we are physical, emotional, mental and social beings, but also aesthetic (seek pleasure from beauty and experience the world through senses and emotions) and spiritual beings, no matter what’s causing this. 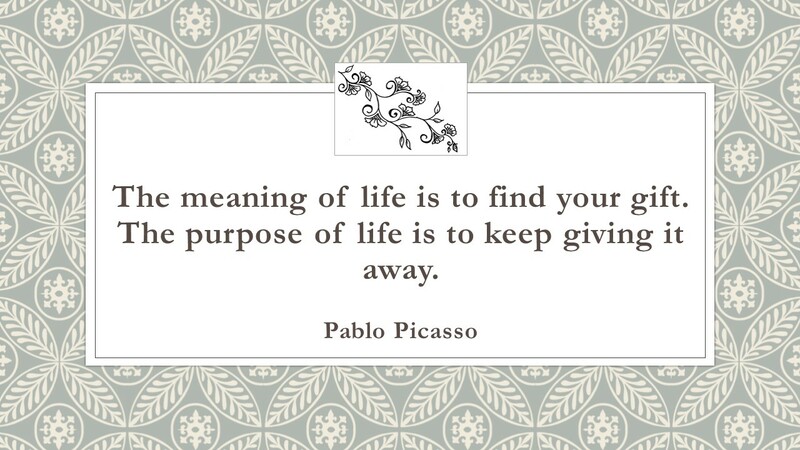 Also, we all seem to have an innate need for purpose. The less purpose we see in our life and its trials and tribulations, the more likely it is we’ll become cynical and eventually depressed. Clearly living without purpose does not gel well with the human mind. So, what can tarot do to help us find purpose? A lot! Here’s a spread to discover what your purpose in life is. I personally think we can have a number of different purposes and possibly once one purpose is fulfilled, we can move to another, or run with different purposes simultaneously. But in case you’d like to identify one core theme for your life, this spread can help. This spread is an adaptation from the Where to find joy – spread, discussed in this blog post and created by Paulina Cassidy for Joie de Vivre tarot deck. My purpose in life – spread. This reading is done with Fool’s Dog app and it mixes different decks for added visual cues. The beginning of anything material, the seed, the opportunity, good luck. My purpose is to experience the material world in general: the joys and donwsides. But it’s also to find and unlock opportunities, and provide these to others where I can. This is very much how I live my life so I’ve clearly “accidentally” bumped into my purpose! My card shows a big golden pentacle surrounded by vegetation of different seasons, giving the card a bit Wheel of Fortune-like appearance, reminding of life’s ups and downs but also good luck, destiny, taking the opportunity when it comes, as well as enjoying nature in all its glory. The pentacle has a keyhole and a diamond on it, highlighting the “unlock the opportunity” message. This card shows a cat climbing up a tree, but it has stopped its progress towards the reward (smiling hearts) at the top of the tree because there are piranha-like creatures flying around and nagging at it. 9 Swords block the way down, so the cat just sits there, paralysed by fear. This card is an excellent reminder of how to deal with other people: don’t let others’ opinions stop you from living your purpose. There’s no point in worrying what others will say, what the society will think, what the neighbour will think: it’s your life, no one else’s! Go after the goal, the smiling hearts, the fulfilled feeling of happiness. For my purpose, this can also mean that I should encourage others to care less about what random people or relatives think and go after what resonates and feels right in life. 3. Where to work to find purpose? (this doesn’t necessarily or only mean your career, but an area in life or a mindset to adopt to find purpose) HANGED MAN, Gaian Tarot. This card shows a yogi-like female hanging from a tree, looking relaxed and calm. She has a faint smile on her face and her clothes reflect the blue skies (or you can see through her body to another dimension, possibly). Staying put, learning from being quiet and inactive, and letting the revelation come at its own pace are what are needed. There is inner brewing going on and this period of suspension is for my own good in the long run. Indeed, I’d like a lot of things happen now, such as many of my ideas take off, but I clearly need to wait, ponder and let them mature on their own still. The universe and all its answers are within me, if I know how to look. 4. What are you allowing to block your purpose? HERMIT, Gaian tarot. This card shows a monk-like hooded figure sitting under a tree with a note book and a pen. He’s observing the nature around him: the owl and some spirit animals in the background. I take this to mean that my tendency to spend a lot of time alone, thinking, studying and writing, is hindering my purpose if taken to extreme. I can’t find and unlock opportunities for myself or others by sitting at home in front of a computer. I also can’t experience the material world and the wonders of nature if I’m merely observing, not participating – living in my head, not in my body. Point taken. 5. Purpose mentor - who or what can help me find purpose? 4 PENTACLES, Victorian Fairy deck. This card shows an elderly fay holding on tight on acorns, when a squirrel is after the same ones. This card is a reminder to not be too attached to material and not too protective and risk-averse in life. Let go of what you have to experience something new. However, it can also mean that it's good to be protective and keep things as they are: there's no need to go after something more materially. Given that I'm already quite unattached to materia, I think this could mean not to worry about money when seeking my purpose, but also that I already have everything I need in the material and physical sense to explore and experience my purpose. 6. 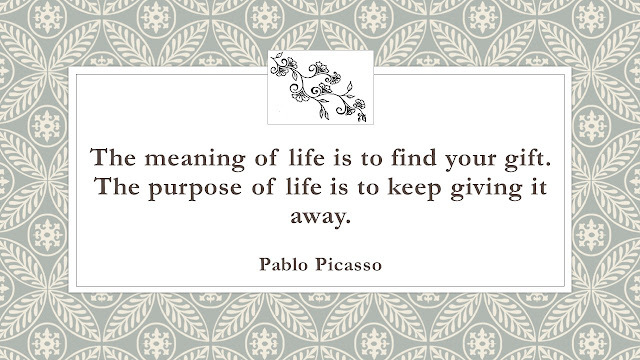 Universe’s gift – what helps you to find or live your purpose? EXPLORER OF FIRE (PAGE OF WANDS), Gaian tarot. This card shows a tribe member dancing by swinging a burning pot in a rope. It’s all about taking risks just for fun, exploring something new and exciting, finding inspiration from something uncharted. This is very much what I do all the time in a mental level (research on a number of creative topics) but I also like adventurous life, trying new things and experiences. Continuing to live with this attitude clearly is beneficial to me. Thank you tarot!